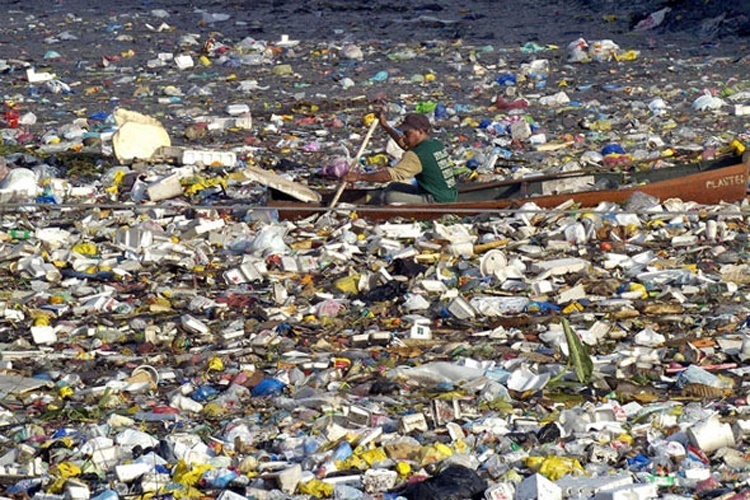 Every year “at least 8 million tons of plastics leak into the ocean—which is equivalent to dumping the contents of one garbage truck into the ocean every minute,” the report finds. “If no action is taken, this is expected to increase to two per minute by 2030 and four per minute by 2050. 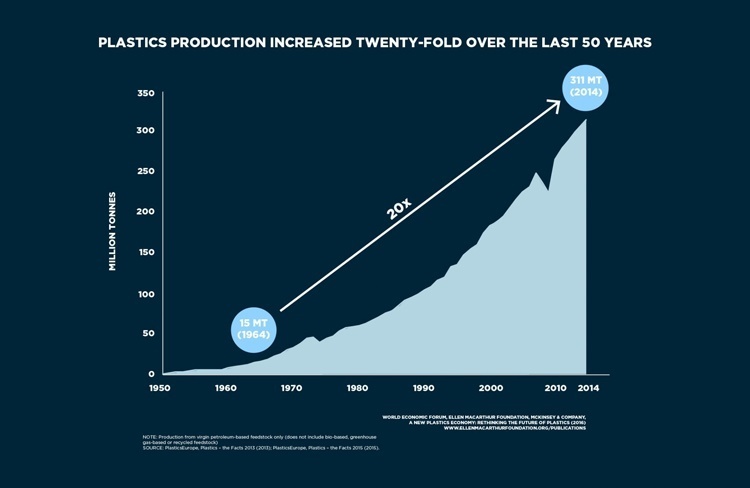 Plastic production has increased 20-fold since 1964, reaching 311 million tons in 2014, the report says. It is expected to double again in the next 20 years and almost quadruple by 2050. New plastics will consume 20 percent of all oil production within 35 years, up from an estimated 5 percent today. 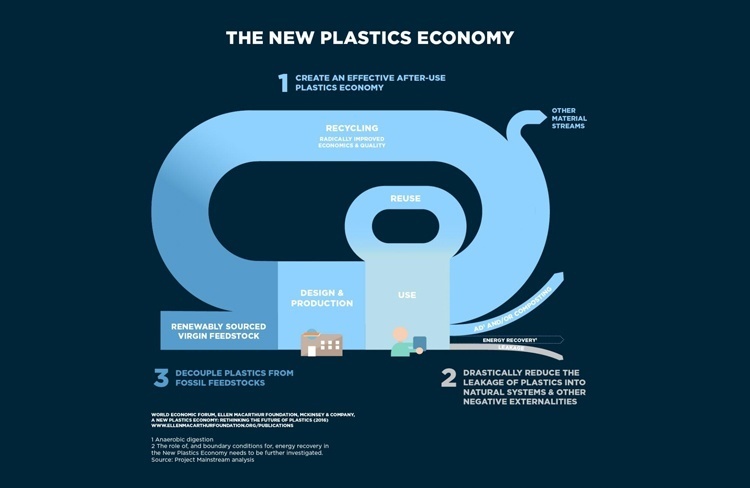 The report provides a first-ever “vision of a global economy in which plastics never become waste, and outlines concrete steps towards achieving the systemic shift needed,” the Ellen MacArthur Foundation said. 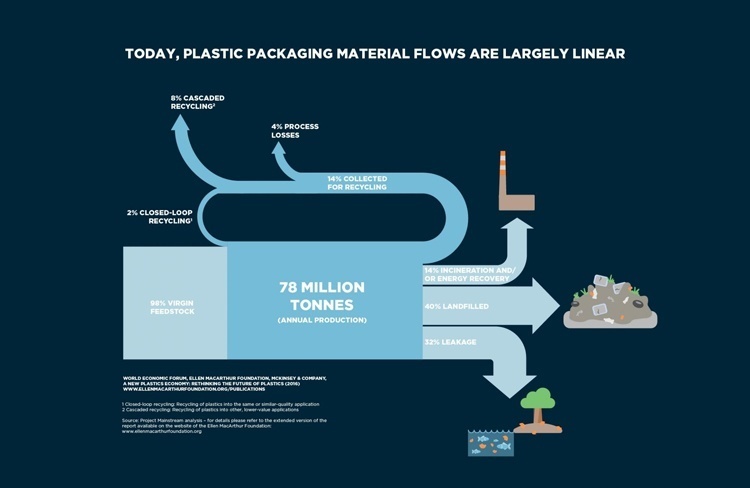 This vision is built on applying “circular economy principles” to global plastic packaging flows, which could “transform the plastics economy and drastically reduce negative externalities such as leakage into oceans,” the foundation explained. The report calls for a transition away from “today’s linear ‘take, make, dispose’ economic model” and towards an economy that is “restorative and regenerative by design” and which altogether eliminates the concept of waste (just as there is no concept of waste in natural systems). The report concludes that the plastics industry is not doing nearly enough to address plastic pollution. The report calls for smarter packaging, such as phasing out hard-to-recycle plastics like polyvinyl chloride and expandable polystyrene, redesigning plastic items so they can be reused better, rethinking their production methods to make recycling easier and developing compostable packing on a larger scale.
? 5 Negative Habits That Are Sabotaging Your Road To Mastery Ten Reasons That Will Convince You That Bernie Sanders Deserves Your Vote ?